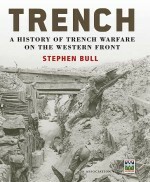 For a century, accounts of the German invasion of France and the opening year of the First World War have been dominated by histories of British troops and their experience in battle, despite the fact that the British Expeditionary Force comprised just four divisions, while the French and Germans fielded 60 each. Published to coincide with the 100th anniversary of the outbreak of the Great War, Invasion 1914 examines how the German invasion of France and Belgium came agonizingly close to defeating the French armies, capturing Paris and ending the First World War before the end of the year. Ian Senior reveals how the initial German strategy revolved around, and in part depended on, rapid victory over the French, and how the failure to achieve this resulted in the surprisingly fluid battles of the early days of the war deteriorating into the trench-based warfare which was to see the war drag on for another four years of unprecedented slaughter. Weaving together strategic analysis, diary entries, eyewitness accounts and interview transcripts from soldiers on the ground with consummate skill, this narrative is a timely investigation into the dramatic early months of the war, as the fate of Europe hung in the balance. Ian Senior read Natural Sciences at Cambridge and has taught at Dulwich College for many years. He is also Associate Lecturer in the History of Art for the Open University and a Principal Examiner for the University of Cambridge International Examination Board. He first became interested in the battlefields of 1914 when visiting his wife's family in her native Belgium.